NORTHERN IRELAND - I was traveling on a rural near the town of Carrickfergus, about 15 miles northeast of Belfast, when I came across a shepherd and his flock of beautiful sheep slowly heading down the road. Since they were blocking my way I stopped the car, jumped out and began to photograph the trip back to the farm where they lived. My introductions to the shepherd went well, and he invited me to come back in a couple of nights to join him at the local barn dance being hosted by his employer for the workers and nearby neighbors. 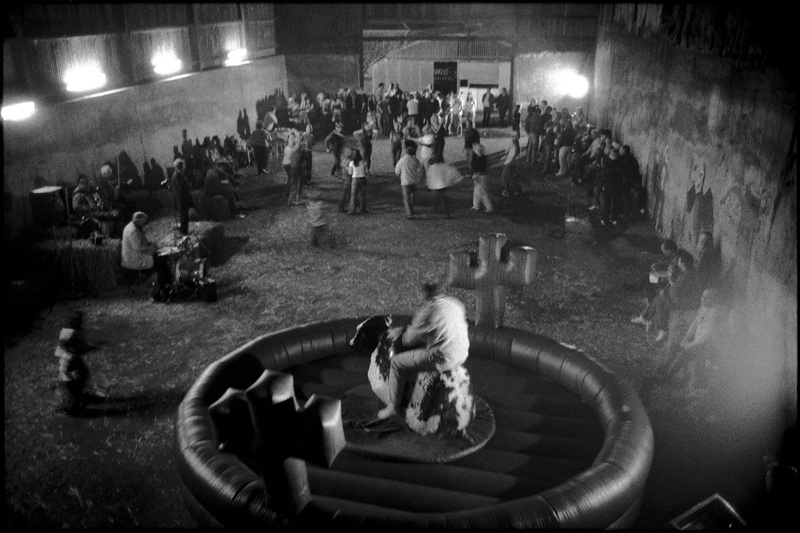 Traditional Irish music filled the barn and the festive scene was enhanced by the addition of the bucking bronco.